I’d hate to pay some $200k to know my sports coupe has the same engine out of a $70k Mercedes. V8 version coming out only 3900 lbs. Handles better but slower...maybe 13 to 200. So Motor Trend says this car has a poor ride which goes against most publications. It shouldn't be in a drivers car competition any more than the LC500. Car and Driver did a test for their new vehicles issue. Fast as a 45th anniversary GTR at Willow. The new Vantage V8 will purportedly.compete with the GTS and the Vanquish with the regular F12.This is competition for the New 460 bhp Stradale and the Sportiext Bentleys and the SL63. This is the slowest most cruiser oriented and heaviest Aston going forward and can still match awd Jag Ftype R at Willow with rwd and cushy suspension. Imagine a Vanquish with 675 bhp 100kg lighter with tauter suspension and rubber. It will be the match of the.most sporting cars under 500k. I guess the car is fast enough. For those who are young or who want bragging rights, and drag race wins, this is not the car for them. I still can't figure, if I wanted a front engines grand tour with plenty of kick, class, performance when I need to and look drop dead gorgeous, what's wrong with the AMG GT? 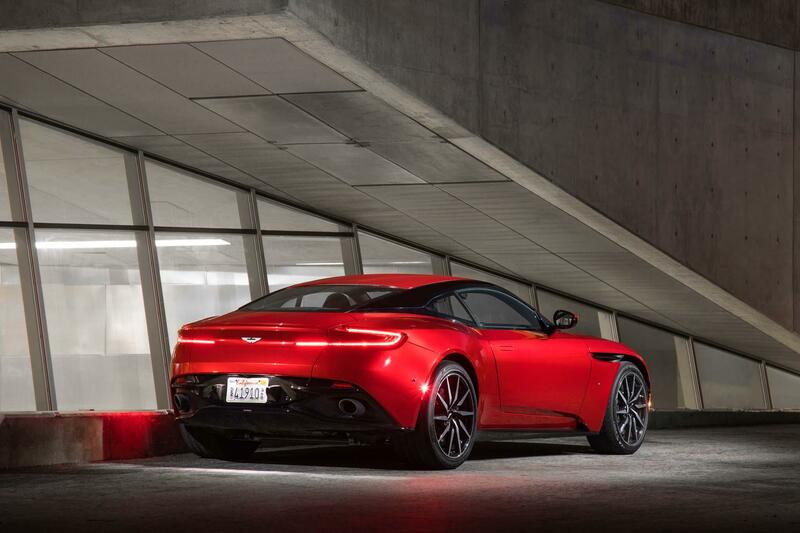 And don't tell me because the Aston has bespoke British hand craft. Much of the stuff inside is borrowed from Mercedes. Or maybe it's just the 007 brand factor. Without traction control and linear torque it needs 600 to compete with the top m5s m6s and c63. P1s and even lighter similar powered cars like the turbo s are not comparable. GT's don't need numbers the same as supercars but if someone built a gt that did a 5.5 0-60 and a 1:20 at Hockenheim,8:30 at the Nurburgring and 1:50 at Laguna with a 270km/hr top speed that's just to slow for a modern 200k GT. This car is way faster than that but a lot of its shortcomings come from poor tech application. According to MT the launch control is a lot slower than what a good driver can do. It's Powerband is Jerky and unlinear ..building at the top of each gear. Also while it's cute in the cl65 this car needs traction control with 516 lbs of torque. Also for the 2019 Vanquish Mercedes should lend it's great amg gtr double clutch to Aston. No it just reflects an increase in tech when you see the huge difference between a v12 db7 vantage and a DBS in laptimes. Plus there are people on youtube who say they would have bought an Aston instead of their GTR/ZO6/ZL1 etc. if it was a bit cheaper and was faster lapping. Of course they could just be full of baloney. A GT is like a decathlon and this car is fast enough but some guy said his new SS handled better than the db11 on the Motor Trend video so if Aston wants this guy to switch from a Camaro....Nevermind. So it was beat soundly at Hockenheim by the GT8,Vantage V12s and Vanquish S and basically equalled by a decade older DBS and a V8 Vantage S.
Hopefully the Figure Eight and Willow Springs times will be more impressive. I know it's a gt but not a 1999 gt. Anyone got MT on demand? They already done the laps figure eight and acceleration testing. They hold the figures back for more subscribers. ...how is it much faster then a C7? 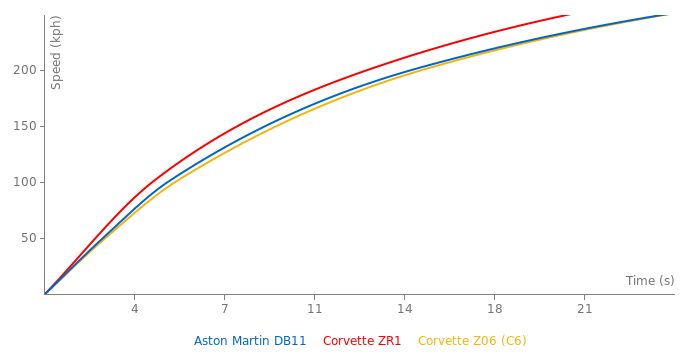 DB11 and C7 do the same 0-60, 3.7, DB11 0-100 8.0 compared to the C7s 8.4, 1/4 mile DB11 at 11.9 at 123 vs C7 12.0 at 120, 0-200 both in the 12s, Hockenheim DB11 1:13 Vs 1:10, How is the DB11 Much faster? The fact that this performs worse then a lot of 100bhp range cars, And it's that expensive, Regardless of weight, Is crap, Yeah it's a comfortable big GT car, So is a C63 and SRT 392 and ATSV, What's there excuse? And plus the C7 doing a 12.0 in the quarter was not the 8-speed auto coupe. Imagine what a 8-speed auto corvette c7 z51 could do. ...how is it much faster then a C7? DB11 and C7 do the same 0-60, 3.7, DB11 0-100 8.0 compared to the C7s 8.4, 1/4 mile DB11 at 11.9 at 123 vs C7 12.0 at 120, 0-200 both in the 12s, Hockenheim DB11 1:13 Vs 1:10, How is the DB11 Much faster? The fact that this performs worse then a lot of 400bhp+ range cars, And it's that expensive, Regardless of weight, Is crap, Yeah it's a comfortable big GT car, So is a C63 and SRT 392 and ATSV, What's there excuse? 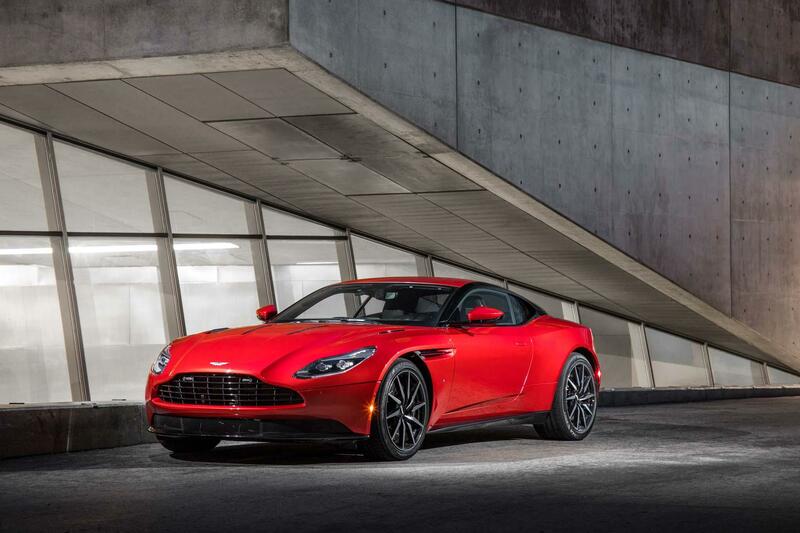 I have always liked Aston Martins. Great looking, fantastic N/A engines, luxurious super GT cars that are not performance-obsessed. 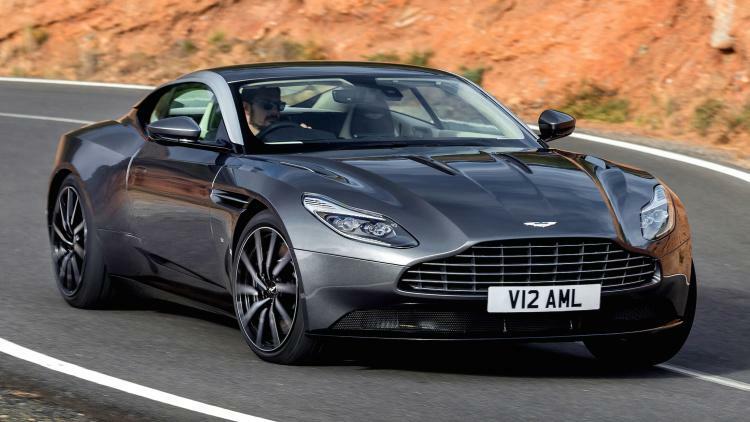 But im not sure about this new DB11...Anyway we have a crazy times...This car can do 0-200 km/h in 12s and its not even an average result in this segment. 2006 Ferrari 599 can do 0-200 km/h in low 11s. Its much faster than C7 Corvette. Not Z06, of course. Because cars like Z06 and 650S are COMPLETELY DIFFERENT niche and comparing them to big Aston Coupe is like comparing BMW M5 with Rolls Royce Phantom. I think the fact that it does 0-100 in less than 4 seconds and 0-200 in 12.something is good achievement and quantum leap compared to how pathetic the performance was for the (comparatively) gutless naturally aspirated V12. Wow, there is so much before you can say... for that price and power, it's too slow. All that power, That tech, And No faster then a C7?...I love Aston dont get me wrong, But wtf? Either there making under performing cars, Or there making million pound super hyper cars, Like i like that its not super fast like a 650S or ZO6, But cmon, It shouldnt be performing like an M4..
@FastestLaps Auto Motor und Sport/Sport Auto tested the car few months ago, now it's AutoBild Sportscars' time. First data coming up for this beast. The hell happened to Aston? There going in the wrong direction, Huge downforce race cars, Unattractive road cars(An Aston Martin really) Turbos, Like are they for real? Finally a modern Aston Martin with turbo engine, electric steering etc.